Company registration in India is not tough when you have the best consultants by your side. with our guided expertise and you will see that you do not need to worry about a thing. So, go ahead and set up Private Company in India without having to worry about a thing. Apply for Directors Identification Number and Digital Signatures. Selection of type of the company. Selection of name for the proposed company. Drafting of Memorandum and Articles of Association. Stamping, digitally signing and e-filing of various documents with the Registrar. Preparation and filing of Prospectus/Statement in lieu of Prospectus and e-Form 19/20 (in case of public companies) for obtaining the certificate of commencement of business. Obtaining Certificate of Commencement of business (in case of public limited companies). Nowadays various document prescribed under the Companies Act, 2013, are required to be filed with the digital signature of the Managing Director or Director or Manager or Secretary of the Company, therefore, it is compulsorily required to Obtain a Digital Signature Certificate from authorized DSC issuing authority for at least one director to sign the E-forms related to incorporate like form INC.1 and other documents. The Promoters of a company may be individual entrepreneurs or body corporate engaged in efforts to incorporate a company. They have the power of defining the object of the company and deciding various matters for the company proposed to be incorporated. It is depending upon, the purposes for which the company is to be incorporated, proposed scale of operations, capital involved, etc. The promoters can select type of the company as they wish to form themselves into viz. private company, public company, non-profit making company, etc. Six names are requ1ired to be selected in order of preference after taking notes of numerous provisions, clarifications, circulars and rules made by the Ministry of Corporate Affairs, etc. In case key word is required, significance of each key word should be given in the e-Form 1A. After receipt of completed application in e-Form INC-1, the Registrar shall intimate whether the proposed name is available for adoption or not. As per section 4(5), maximum time for which name will be available has been prescribed in the law itself under section 4(5). The name will be valid for a period of 60 Days from the date on which the application for Reservation was made. Note: The applicant cannot start business or enter into any agreement, contract, etc. in the name of the proposed company until and unless a certificate of registration is issued by the registrar of companies as per the provisions of the Companies Act, 2013 and the rules made there under. As per 153 of the Companies Act, 2013, every individual intending to be appointed as director of a company shall make an application for allotment of Director Identification Number in form DIR.3 to the Central Government in such form and manner and along with such fees as may be prescribed. Therefore, before submission of e-Form INC.1 for availability of name, all the directors of the proposed company must ensure that they are having DIN and if they are not having DIN, it should be first obtained. Specific care should be taken that a person cannot have more than one DIN, therefore, a DIN once obtained shall serve the requirement for all the companies in which he is a director or intended to be a director. Drafting of the MOA and AOA is generally a step subsequent to the availability of name made by the Registrar. It should be noted that the main objects should match with the objects shown in e- Form INC-1. These two documents are basically the charter and internal rules and regulations of the company. Therefore, it must be drafted with utmost care and with the advice of the experts and the other object clause should be drafted in a very broader sense. As per section 4(6) the memorandum of a company shall be in respective forms specified in Tables A, B, C, D and E in Schedule I as may be applicable to such company. As per section 5(6) the articles of a company shall be in respective forms specified in Tables F, G, H, I and J in Schedule I as may be applicable to such company. ix. Entrenched Articles of Association, if any. Note: Where the articles contain the provisions for entrenchment, the company shall give notice to the Registrar of such provisions in Form No. INC.7, as the case may be, along with the fee as provided in the Companies (Registration offices and fees) Rules, 2014 at the time of incorporation of the company. 1. Declaration by first director in Form INC-9 is mandatory to attach in case of a new company. 3. Interest in other entities of director it is mandatory to attach in case number of entities entered is more than one. As per Rule 25 of Companies (Incorporation) Rules, 2014, verification of registered office shall be filed in Form No.INC.22 along with the fee. Section 12(2) of the Companies Act, 2013 states that the Company shall furnish to the Registrar verification of its registered office within a period of thirty days of its incorporation in such manner as may be prescribed. Section 12(4) of the Companies Act, 2013 states that Notice of every change of the situation of the registered office, verified in the manner prescribed, after the date of incorporation of the company, shall be given to the Registrar within fifteen days of the change, who shall record the same. From above we can easily understand that lots of Information is to be arranged for Incorporation of a Company under Companies Act, 2013. So it is also important to understand the purpose of E- Form INC-7. E-Form INC-7 deals with incorporation of a new company (other than OPC). This E-Form is accompanied by supporting documents such as details of Directors/subscribers, the Memorandum of Association (MoA) and Articles of Association (AoA) and evidence of payment of stamp duty. Once the E-Form is processed and found complete, a company is registered and CIN is allocated. 1. User is required to file E-Form INC-7 for incorporation of Company other than OPC within sixty days from the date of application of reservation of name in E-Form INC- 1. 2. It is suggested that E-Form DIR- 12 and E-Form INC- 22 should be filed together at the time of filing of E-Form INC- 7 when address for correspondence is the address of registered office of the company. 3. In case the address for correspondence is not the address of the registered office of the Company, user is required to file INC-22 within 30 days of its incorporation. 4. Stamp duty on E-Form INC- 7, Memorandum of Association (MoA) and Articles of Association (AoA) can be paid electronically through the MCA portal and in such case submission of physical copies of the uploaded E-Form INC- 7, MoA and AoA to the office of ROC is not required. 5. Payment of stamp duty electronically through MCA portal is mandatory in respect of the States which have authorized the Central Government to collect stamp duty on their behalf. 6. Now eStamp duty payment is to be done online through MCA portal for all the states. 7. User is required to scan the photograph of every subscriber with MOA and AOA. 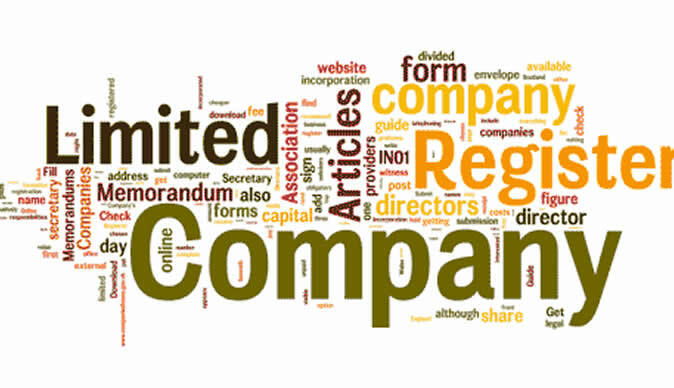 If after filing the Requisite forms for incorporation with the Registrar of Companies along with fees, ROC is satisfied with the contents of the documents filed, ROC will issue the Certificate of incorporation in Form no.INC 11 as directed by Rule-18 of Companies (Incorporation) Rules, 2014. Provided that in the case of a company requiring registration from sectoral regulators such as Reserve Bank of India, Securities and Exchange Board of India etc, the approval from such regulator shall be required. a. Specimen signature in form INC.10. i. Permanent residential address and also Present address (Time since residing at present address and address of previous residence address (es) if stay of present address is less 24 than one year) similarly the office/business addresses. Provided that Bank statement Electricity bill, Telephone or Mobile bill shall not be more than two months old. o. o. Proof of nationality in case the subscriber is a foreign national. q. the specimen signature and latest photograph duly verified by the banker or notary shall be in the prescribed Form No. INC.10.